14k Gold Pendant with 0.60ct. of Diamonds Chain Included. 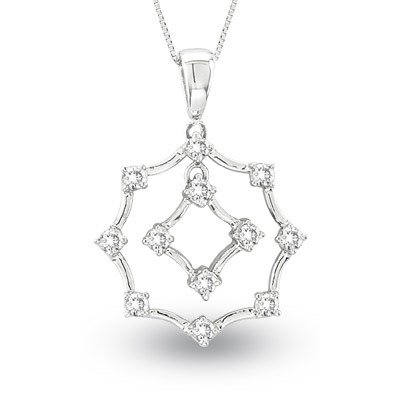 This breathtaking diamond pendant dazzles with individual beauty. It contains 8 round cut diamonds totaling 0.40 ct. that are set in 14k Gold. The diamonds come together and form a lovely pendant that will add charm to every attire.